L’Core Spa is pleased to announce the opening of their new salon spa in Sarasota, Florida. Opening in the Westfield Siesta Key Shopping Mall, the L’Core Spa will be a newly formed, full-service salon that offers an extensive list of services. L’Core Spa offers a vast array of spa services to provide customers with a full salon experience. Whether they are looking for hairstyling, nail art, massage therapy, waxing, barbers, lash art, spray tans, esthetics, health benefits and makeup, as well as the exclusive L’Core Paris skin care line, customers are able to indulge themselves with the relaxing treatments they seek, while trusting themselves to the hands of salon professionals. L’Core Spa’s new location in Sarasota gives them the opportunity to expand their horizons and opens the door to customers in the area to take part in a unique salon experience. This groundbreaking salon is designed to combine everything customers love in one location. For more information on L’Core Spa’s new Sarasota location, visit L’Core Spa on their website or call 941-225-2298. 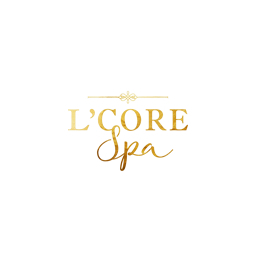 About L’Core Spa: L’Core Spa is a unique salon spa that is designed to provide customers with the best of beauty and relaxation in one place. They provide beauty, relaxation and professional services to all. With a vast array of services offered, clients are sure to achieve the look and feel they want.